G&M Painting offers Interior/Exterior Professional painting at a reasonable price to our customers. We will fill cracks, seal around windows and doors as well as do minor repairs such as holes in walls/ceilings. If you would like a personal touch we offer stenciling to make your rooms unique. We also offer 10% discounts to all Seniors(55+) and Military with ID. We are family owned and operated with 20+ yrs experience. We love what we do and take great pride in the quality work we do for our customer. 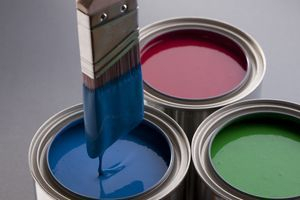 It is our pleasure to work for you and increase the beauty of your home or business with fresh color making it distinctly yours. We hope you can find everything you need. G&M Painting is focused on providing high-quality service and customer satisfaction - we will do everything we can to meet your expectations. With a variety of offerings to choose from, we're sure you'll be happy working with us. Look around our website and if you have any comments or questions, please feel free to contact us at (719) 209-1275.